These organizations have joined together with the Virginia Satir Global Network to promote human growth and understanding using the model of the late Virginia Satir. Each organization is self-governing and solely responsible for their program development and content. Virginia Satir and the flame logo are trademarks and used with permission of the Virginia Satir Global Network. VSGN, its directors or employees, exercise no control over the actions of the Affiliate or its members. Affiliates may not state or imply by their actions, that they are the agent, subsidiary, partner, or have a business relationship with VSGN. To request permission to use the name, Virginia Satir, or any copyrighted materials, contact the VSGN office. Most of the following institutes and affiliates offer high quality Satir-based training. To locate a specific institute’s or affiliates’ training, choose the organization you are interested in and click the link to their website. (If you don’t see a link, try clicking on the organization’s name or logo.) This will open their website where you can locate the training they offer. 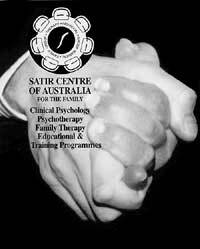 The Satir Centre of Australia for the Family is a private, professional clinic, which offers prompt, confidential help for a wide range of psychological, personal and emotional issues which frequently trouble otherwise well-adjusted people.The Satir Centre of Australia for the Family believes that effective help results from empowering people to become their own decision-makers in life. Accurate information, careful and thorough assessment, understandable explanations and experienced guidance form the basis of successful therapy. This Institute offers on going year round training. To see what is currently being offered check out their website. “Purpose: to provide a broad educational context including classes, workshops and seminars in which persons may experience and learn in depth the Virginia Satir systemic growth model in order to understand, develop and use the Satir Model in their personal and professional lives”. “The Satir Transformational Systemic Therapy (STST) training programs (Levels I, II and III) are for practicing counsellors, therapists, psychologists, psychiatrists, family physicians, nurses, clergy, instructors of family studies and family therapy, child care workers and graduate students in the above fields who are presently working with clients. The focus of the programs is on facilitating transformational change through Virginia Satir’s Growth Model. The approach is applicable to working with individuals, couples and families. 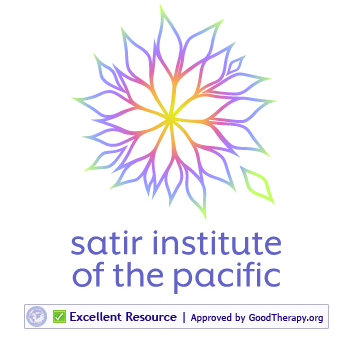 The Satir Transformational Systemic Therapy (STST) training programs (Levels I, II and III) are for practicing counsellors, therapists, psychologists, psychiatrists, family physicians, nurses, clergy, instructors of family studies and family therapy, child care workers and graduate students in the above fields who are presently working with clients. The focus of the programs is on facilitating transformational change through Virginia Satir’s Growth Model. The approach is applicable to working with individuals, couples and families. Satir Transformational Systemic Therapy Model is unique in encompassing both the intrapsychic and interactive components of therapy. Much therapy of the past has been focused only on clients behaviour, cognition or emotions. This model is focused on bringing about change at the level of Being, as well as changes in doing, feeling and perceiving. For program information and general inquiries contact Cindi Mueller at our Surrey, BC office. The mission of the Satir Institute of the Yukon is to share the teachings of Virginia Satir and to provide training opportunities for professionals in the Satir Philosophy and Model and workshops for people who want to experience personal growth and change. For additional information please contact Pat Bragg at patbragg2014@gmail.com. 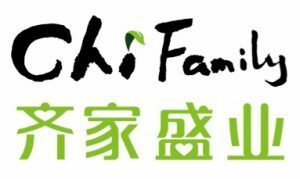 Beijing Qijia Shengye counsulting Co.ltd was the first Satir center founded in mainland China in 2003. It develops a comprehensive training system – GROP. Their trainings are delivered in the form of personal counselling, public workshops, in-house training, online course etc: . G for Growth, refers to the personal growth of individuals which is the core of the Satir model application. It aims to help a person to develop a complete, harmonious, rich life energy level, to have inner peace and interpersonal harmony. R for Relationship, refers to the parents-child relationships, husband-wife relationship, and other intimate relationships. Interpersonal relationship affects one’s happiness, While Satir aim to improve communication, promote mutual understanding, enhance the relationship. O for Organization, refers to enterprise applications, including enterprise team cohesion and construction, team integration and communication, the leader of the internal psychological energy, team psychological capital integration and so on. The Systematic and experiential of Satir model will lead the organization to discover more resources to change. P for Professional, refers to the training for the professionals. It is to help people who’s dedicated to help others by providing them with professional training course. To see what is currently being offered check out their website. Objectives: To promote and develop the Satir Model and other humanistic approaches in counseling and therapy in Hong Kong. Belief: People have the ability and internal resources to change and grow. Mission: To support, connect and empower individuals, families and organizations through the Satir Model. It was founded in 2014 and its founding members were: MD. Alexandra Beránková, Mgr. Lubica Lichorobiecová, Mgr. Renata Koláčková, Mgr. Jarmila Petrovská PhD., Mgr. Petr Štěpaník and Mgr. Petr Hýl. Inspiration closely cooperates with other organizations, especially with the Institute of Virginia Satirovej in the Slovak Republic, and is an affiliate organization of Satir Global Network. Maintaining contacts and exchanging information with foreign and domestic organizations engaged in similar activities. We offer high quality in-depth experiential trainings of the original Satir-Model-teachings. We want to create a space for an ongoing development of Virginia Satir’s models and processes to achieve a safe space for personal growth and congruency. Gunther Schmidt M.D.,Dipl.rer.pol., medical specialist in psychosomatic medicine, Founder and Developer of the Hypnosystemic Approach, director oft the Milton-Erickson-Institut Heidelberg, medical director of sysTelios-clinic Siedelsbrunn for psychosomatic health development, co-founder and trainer of the Helm Stierlin Institut for systemic therapy, counseling and research, co- founder and Senior Coach of the DBVC (German Association of Coaching), Life Achievement Award of the German Trainig Field 2011, Milton-Erickson-Price of the MEG (Milton-Erickson-Society of Germany), trainer of the MEG. Dr. Stephen Gilligan is a licensed Psychologist practicing in Encinitas, CA. Stephen was among the group of students that gathered around the founders of NLP during its formation at U.C. Santa Cruz from 1974-1977. Milton Erickson and Gregory Bateson became his teachers and mentors. After receiving his doctorate in Psychology from Stanford University, Stephen became one of the premier teachers and practitioners of Ericksonian hypnotherapy. Motivated by his experiences as a therapist, a teacher, and by his own quest, he developed a new practice of radical awakening incorporating Ericksonian psychotherapy, Aikido, Buddhism, meditation, and the performance arts. Dr. Nitza Broide-Miller has been training with Virginia Satir since 1976 in the USA. Her invariable dream was to bring the Satir Model to Israel. Since Virginia’s teaching in Israel in the 60ththere were few attempts to teach the Satir Model in Israel. Such was Stephen Buckbee and Bunny Duhl’s visit to Israel in 1996. However, it wasn’t until Dr. John Banmen graciously agreed to come to Israel and give us a headstart in 2006 that we marked the beginning of the formal training process of the Satir Model (STST) in Israel. The first group was trained by Dr. John Banmen and Dr. Nitza Broide-Miller, with additional contributions by Kathleen Maki- Banmen. Since 2006 this initial group continued training with Dr. Nitza Broide-Miller; fulfilling the equivalent requirements of Level One & Two. The first group of 18 graduates celebrated the completion of STST training in 2011. Since 2011 several enrichment programs have been conducted by Dr. Nitza Broide-Miller including: Using the Satir Model in couple therapy, the use of self in therapy, Satir’s internal parts, the change process, dealing with trauma- the essence of trauma and its treatment, issues of betrayal and other topics. Graduates of the training, alongside trainees have been meeting regularly, studying and expanding their knowledge of the model. The groups practice in triads deepening their understanding and skills of the various roles within the triad, specifically the roles of the therapist & the supervisor. The goal was to become more CONFIDENT, COMPETENT & CONGRUENT using the Satir Model. To spread the good intention and the harmony between people. To appreciate peoples’ resources & their ability to change and grow. To become more tolerable & peaceful towards ourselves & towards others. To promote peace within, peace between, and peace among. To apply Satir’s beliefs to various organizations. To promote the humanistic elements of the Satir Model. To learn to be more open & accepting of peoples’ differences. To enrich each other within healthy relationships. Continuing the Enrichment Workshopsfor Satir therapists in Israel, including topics of betrayal & infidelity in the context of couple relationship; process of change; just to name a few. Focused training on the role of the “supervisor” within the triadic practice. Training of Level one & twofor clinicians who desire to add, learn and practice the Satir Model in their clinical work. 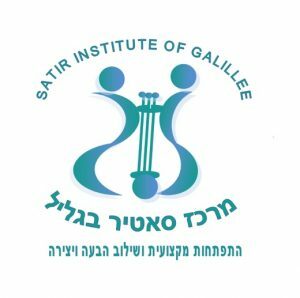 Establish the first Training for Trainers program in Israel – to prepare the ‘next generation’ of teachers / leaders for the Satir Model in Israel. Psychologists, social workers, psychiatrists, couples & family counselors, child & school counselors and educators, expressive arts therapists. Most participants have had training in family therapy. SATIR INSTITUTE THAILAND is a non-profit organization that believes in human dignity and personal actualization process. One can free one’s life force from the shackles of the past through changes of perception, feeling, and behavior, thus paving the way for evolvement of being more fully human. Satir Human Growth and Family Therapy Institute trains professionals in Turkey with it’s competency based Family Therapy Training Program towards becoming clinically competent family therapists deepened in the Satir model therapy. Also therapy using Satir Transformational Systemic Therapy (STST) is provided in helping individuals, couples, children, and families. The founder, developer, and the lead trainer of the program Sibel Erenel is a California licensed marriage & family therapist, an AAMFT (American Association of Marriage and Family Therapy) approved supervisor. She is the recipient of SIP 2013 Unsung Hero Award and Satir Transformational Therapy Leadership Award for the family therapy training she had developed using the STST. The Satir Model Family Therapy training program is a 3/4 year program that aims to provide therapeutic competence by deepening in the Satir model. The program was designed to provide knowledge and skills in parallel with American Family Therapy Core Competency Standards established by American Association for Marriage and Family Therapy(AAMFT) and it also attempts to meet the standards of European Family Therapy Association (EFTA) and International Family Therapy Association (IFTA). Participants who chose to use this model as their primary therapy approach learn the theory and concepts of this model and develop core family therapy competencies applying STST. Skill development is via experiential exercises, triad skill practice work (therapy practice where participants work in trio), homework, case presentation and supervision. One of the most important components of the program is that the growth of the ‘Self’ of the therapist is always an ongoing focus. The training group works with the same lead trainer who also follows up the progress and growth of the trainee like a supervisor. In all the training modules information is supported with ethical standards of the family therapy profession and cultural sensitivity. The institute is a full member of EFTA-TIC (European Family Therapy Association Chamber of Training Institutes).The institute’s Family Counseling Program is also approved and registered by Minister of Education in Turkey. The program is endorsed by Satir Institute of the Pacific (SIP) and is currently under the consultation of SIP Director of Training Kathlyne Maki-Banmen and was originally approved by the SIP former Director of Training Dr. John Banmen. A joint Family Therapy Certificate is given as a result of the collaboration of these two institutes. Satir Human Growth and Family Therapy Institute (Satir İnsan Gelişimi ve Aile Terapisi Enstitüsü ) trains professionals in Turkey towards becoming clinically competent family therapists deepened in the Satir model. The competency based Family Therapy Training Program was developed by Sibel Erenel using the AAMFT, EFTA & IFTA standards. Since 2007 it is endorsed by Satir Institute of the Pacific (SIP). The institute is a full member of EFTA-TIC (European Family Therapy Association Chamber of Training Institutes) and it is a registered program of the Minister of Education in Turkey. The founder, developer and the lead trainer of the program; Sibel Erenel is a California licensed marriage & family therapist and an AAMFT (American Association of Marriage and Family Therapy) approved supervisor. She is the recipient of SIP 2013 Unsung Hero Award and Satir Transformational Therapy Leadership Award for the family therapy training she had developed using the STST. We have done this work also with different types of groups from therapists to business leaders and next week with 40 leaders in a 5-day retreat (www.enrich.global) . I don’t know if you want to share that it was also presented in the University of Cambridge, YPO (Young President Organisation) and through clients in the following organisations. Our future will present unprecedented challenges for us to cope with stress, to learn fast and juggle even more complex tasks and demands of our life and families. This practical and experiential workshop is based on the work of Virginia Satir, Sharon Loeschen and the an ENRICH® framework that has been shared and effectively worked with clients from such companies as P&G, Coty, Microsoft, BP, Rolls-Royce, UN, World Bank, Earns & Young, Deloitte, Cambridge University and London Business School. It is a synthesis of systemic constellations, NLP & dynamic yoga presented in an easy-to-comprehend format and accessible for everyone irrespective of a background. The main premise is that we conduct & grow business, make decisions and create relationships based on how we learnt to cope with stress from the family of our origin. Unpacking and reconstructing those strategies, we create new neurological pathways for a more effective stress-management in the future. The Institute for International Connections for Personal and Cultural Growth (I.I.C.) is a non-profit organization that promotes cross-cultural understanding and collaboration in developing peace-oriented, democratic systems. Since 1990, I.I.C. has worked in Russia, Eastern Europe, and Central Asia to provide links, programs, networks, and opportunities to people in human services, education, and business. Inspired by the pioneering family systems therapist, Virginia Satir, I.I.C. uses a multi-layered approach to change, involving the individual, family, community, and workplace. 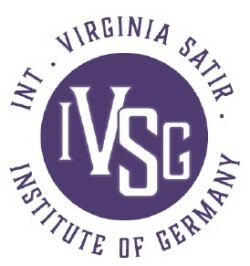 IIC is an affiliate of the Virginia Satir Global Network. “In her lifetime Virginia Satir established two organizations that are still going strong 29 years after her death. One is Virginia Satir Global Network which offers workshops worldwide and has established international training centers from the Czech Republic to Lithuania. The other is The International Human Learning Resources Network ((IHLRN ) which is an organization of professionals who have studied with Virginia or who use her methods in their work. Community was very important to Virginia and this association has been meeting for over 45 years continuing to bring together people who were closely associated with Virginia and those who were interested in her ideas. Virginia had a rarified ability to use the group to touch the best in each individual and nurture potential. In creating IHLRN, it was her intent to create a welcoming and inclusive community in which participants could learn from each other, from the experience of being in the group, and present new or original material AND be in a beautiful and inspiring setting. This week long meeting offers a unique opportunity for learning, sharing and fellowship in the Satir model. The Satir Institute of the Rockies is dedicated to training in the teachings of Virginia Satir. Satir’s Transformational Systemic Therapy is the most dynamic, effective therapy ever known.